5.2 What Makes Shamy Run? Art Malik turns a really great character here. Great episode! I watched this for the first time at the turn of the year, after I got the Minder box set for Xmas. I enjoyed this episode and showed what a good bloke Terry was by giving Shamy his winnings from his bet to go to India and even better when he sent Terry cash in a brown envelope. Watched this on ITV4 again, very good episode. Lots of good lines. I always feel sorry for Jones when Chisholm makes him try on Syrup's syrup in Robbie Coltrane's hairdressers. It looks and sounds so disgusting. By chance though some pictures on a blog I subscribe to, today shows some views of Spitalfields taken at, I would think, almost exactly the same time the episode was filmed. About 13 minutes in Terry is with Shamy near Spitalfield's market looking up the road to the famous Christ Church, Spitalfields. When I saw these pictures I thought some of them must be actually set for the film, although the rubbish is arranged in a slightly different way. Not really 'then' and 'now' location pictures but 'then' and 'then' pictures which interested me at least. The pictures were taken on 11th July 1984, some of them very close to the spot where they filmed. I see the show was first broadcast 12th September 1984. I was a bit shocked when I realised it was series 5, filmed around 84, I was sure it was a series 2 episode. I was actually looking up the locations part of the site last night to figure out where one of the filming locations were in this episode to discover it was the Spitalfeilds site. Another part used for filming was Brick Lane, both sites have been given a bit of a makeover since the 80s. If I am in London, I usually try and go around places where filming of iconic TV series were, much to my Wife and kids annoyance, especially when we get lost, which happens quite a lot. I'll make an effort to get to Brick Lane and SPitalfields on our next visit. Another thing I noticed in this episode - although it may be plain to see other times, I'm not sure - is that on the wall (actualy window) of Arthur's office he has a shield bearing the coat of arms of Liverpool University. An open book with Fiat Lux (Let there be light) written on it and three Liver birds around it. I didn't go to that university but coming from Liverpool recognise it easily enough. I would guess it is there just to give a bogus sense of authority to Arthur's business, I am assuming it never gets mentioned or brought into the story anywhere. Surprised I haven't noticed it before. Maybe it can be seen in other episodes?
" Cor, my first yankee "
" Yeah? I've done hundreds of 'em "
One of my favourite episodes, not only do you have the storyline of Shamys exploits, which is excellent, but you also have the sub plot starring "The Syrup", comedy gold. A Leon Griffiths penned one that despite being series 5 keeps to the original idea touted by Leon for the show in that it would feature ethnic minorities and foreign cultures that have appeared in London over recent years, this episode focusing on the Asian community in Brick Lane. Shamy is a shady character who’s pulled some tricks and cons over the years (very similar to Arthur) but like Arthur is a likeable character. He’s not your typical hard working Indian though (he doesn’t even like curry). On a side note it was reported this week in the press (January 2016) that many Indian curry houses in Britain are closing down including ones in Brick Lane. It’s thanks to this episode that I have adopted the phrase ‘jack and jill’ for a till (Arthur says it to Ajit Desal outside the video shop). The first scene in the Winchester is well done and a good example of what makes Minder seem like real life the conversation flows between the characters perfectly just as it does in a pub situation (“give the Syrup one Dave”) and Terry’s bemused look after the Syrup’s bagpipes comment is very much an example of a reaction to pointless pub talk. Also the camera angles makes the viewer feel they are sitting right there amongst them in the Winchester. Mr. Mitra must be one of the politest villains we have seen in Minder as he offers Arthur a cigar and turns down the Argentinean cigarettes with a “no thank you” and when he’s sneering at Arthur’s videos and Arthur says “shall I mark your card” he says in a friendly way “oh you mean this one” thinking he’s pointing out a film to him. We see once again Terry’s kindness in lending Shamy the money and also lending The Syrup twenty pounds both of who pay Terry back (although he declined the Syrups fake twenty). I must of course mention the unforgettable performance from Fred Evans as ‘The Syrup’ every second of his screen time is brilliant, towards the end when he keeps posing in the mirror is so funny and even as the episode ends with him running off from Chisholm it raises a smile. The whole wig thing is even funnier today than it was in the 1980’s as people now see being bald as a positive thing (sign of good genes, bald men being more virile, sexier etc). I’ve only ever seen Fred Evans in one other appearance and that was in the 1971 film ‘Mr. Horatio Knibbles’ as a policeman, a film that I would recommend but bare in mind it is a CFF one (it‘s on youtube albeit in part sections). According to IMDB he is believed to have emigrated to Australia after giving up acting his last credit being from 1999. I wonder if he is still with us as he looked fairly old in Minder. The viewer is completely in the light in this one and knows exactly what’s going on, who’s got the tape, where Shamy is, who gave Mr. Henry the fake notes and that Arthurs not counterfeiting those notes. However despite us having all the answers it’s still an amazing episode, well I say we have all the answers the only question we don’t have the answer to is what is ‘Storm Over Kathmandu’ about? 'It's like Dallas, E.T, Ghandi all put together'. I was suprised to find they filmed it in Brick Lane. Would have made more sense to film in Southall, being West London, mostly asian populated and more on Arthurs Manor. The original script did have it set in Southall. That's interesting, I wonder why they changed it? An all around great episode! Definitely one not to be missed. I watched this on ITV4 this morning before going to work. 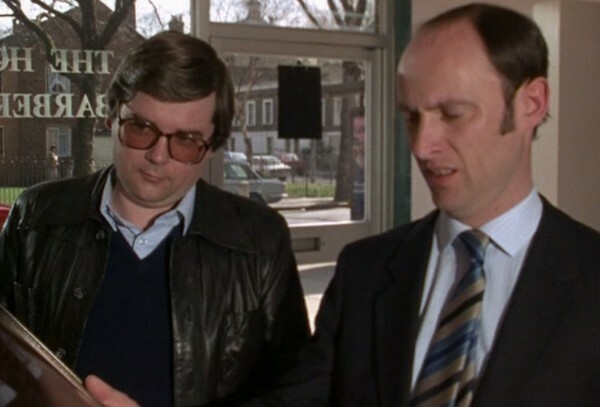 The Syrup has to go down as one of the funniest characters to have been on Minder, priceless. Hard to believe the guy who played him, Fred Evans was hardly on TV after this, such a shame. As soon as I saw Syrup I laughed out loud! A great character . Superb - the series has turned a corner here and the pieces have clicked into place. The exchange in The Winchester with the hooky £20 when Chisholm pockets Arthur's £20 is a masterclass in timing ("No, are you?"). So much stuff going off...Syrup, the driving lessons ("Hot sweet tea"), Dave gets a chance to shine, Robbie Coltrane, the power and the glory of Chisholm (hints of a dissatisfied Jones)...I'm going to have to watch this again and would show this ep to someone who'd never seen the series before as an example of Minder at its best. Great summary there saap! Chisholm and Jones at the hairdresser is a real treat I concur! Fair play, that's a darn fine spot there Mrs C, love it! This episode is one I am truly looking forward to watching again someday. I have to watch the rest of the series first before I go back. 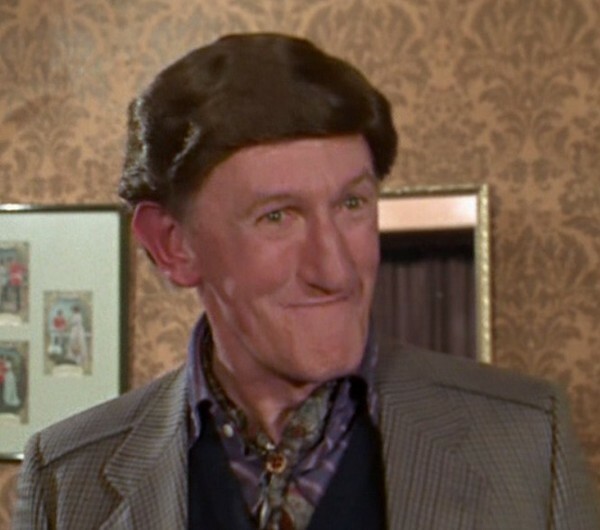 Another one of my favourite Minder episodes, there are many things I like about this episode - Art Malik's dodgy character, the fake £20 notes, the Syrup character (Fred Evans), Jones trying on the wig in the Barber Shop, Arthur taking the n*****e lady (Chrissie Cotterill), for a driving lesson, the look on Chisholm's face, when he sees the damage to the Car, after Smudger (Stacy Davies), had taken the n*****e lady, for another driving lesson, and the end scene, where Arthur & Terry, miscount the money (sent by Shamy), after Chisholm turns up, this episode definitely shows Minder, at it's best. Below is a screencap (from What Makes Shamy Run) of Jacqueline Reddin as Gayle. I have seen Mr. Horatio Knibbles (just one of many CFF Films, which I have seen), mentioned earlier in this Thread, Fred Evans, also appeared in an episode of the TV series The Good Old Days - www.imdb.com/title/tt6345926/?ref_=nm_flmg_slf_3 an episode which has been shown on BBC4, I have got a copy of the episode, on a DVD-R Disc, but have yet to watch the episode. I was watching this tonight and was trying to work out what the films were in the pile of VHS in Arthur's lock up when the Indian heavies are round. I was pleased to spot Hammer's 'Captain Kronos Vampire Hunter' in there. I had that same version on pre-cert..
Tough to work out on DVD. Need the Blu Ray. Art Malik is a very charismatic actor and puts in a very good turn here as the likeable but dodgy Shamy. 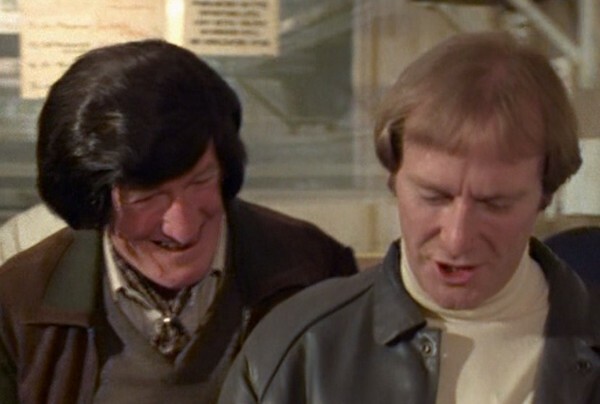 The scenes in the barbers with Chisholm, Jones and Robbie Coltrane are superb, especially when Coltrane suggests that Chisholm could do with a hairpiece. The syrup is a great character and the final scene in the episode is brilliant. 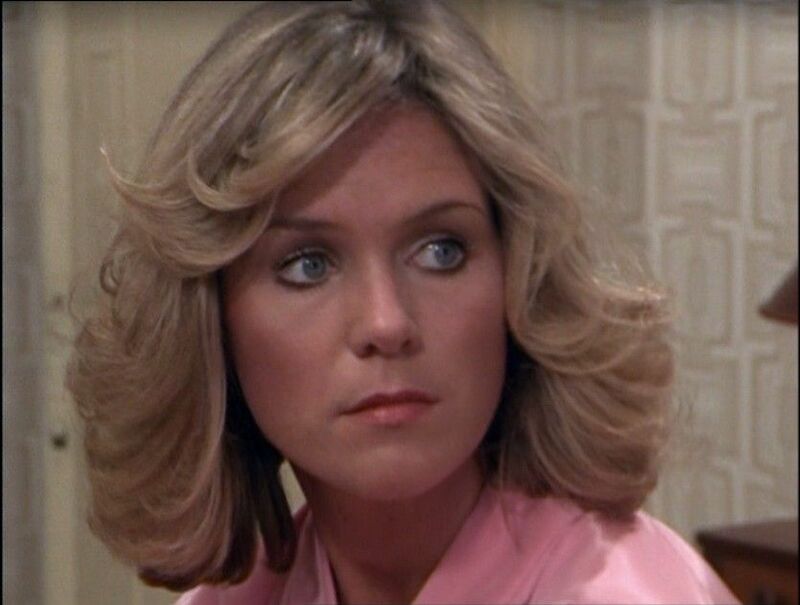 A great cameo from Chrissie Cotterell as the terrible learner driver, a million miles away from her grieving wife in The Professionals' No Stone. No leaves on the trees suggest this was filmed in early spring 1984.